The genre we love so much has not been treated particularly kindly this year: the deaths of not just some of the giants of the field (Richard Matheson and James Herbert spring easily to mind in this regard) but also unsung heroes like Joel Lane, the latter leaving a particularly noticeable vacuum behind, who will be very keenly missed (he was looking forward to writing something for Spectral at some point). More than that, it’s not just the genre in general which has experienced a troubled twelve months: on a personal level it’s been a tough year too. Spectral has had to pare down its publishing schedule slightly, due to some health issues (which are now receding) and a move to new headquarters, meaning that a couple of books have either had to be rescheduled or will be appearing a little later than planned. Be assured, however, that they will appear at some point in the future: after all, Spectral Press is a one-man operation (with a little help from the wife), and there are only 24 hours in a day. Plus, believe it or not, there is an underlying philosophy to all of this, which we hope you, as valued customers, will understand. We want to bring you the best books we can – and, to that end, we would rather a book arrive a little later than originally planned if it means that the highest quality has been attained, than just rushing for the sake of getting the book out on time. The imprint has been built upon the rock of quality, and we intend wholeheartedly to maintain that reputation. We ask, therefore, that you please bear with us in pursuing that ideal. 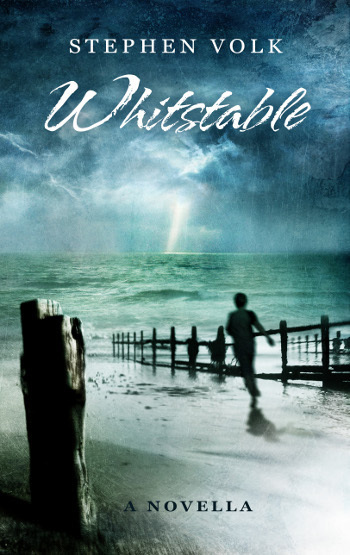 However, it hasn’t all been doom and gloom: Spectral can proudly (justifiably so) point to publishing the superb Whitstable by Stephen Volk, which has gone on to become the press’ most successful book, selling over a thousand copies across all formats and receiving universal praise from readers, bloggers and reviewers alike. Spectral itself was nominated for the second year running for a British Fantasy Award (the PS Publishing Independent Press Award) and John Llewellyn Probert’s brilliant homage to the films of Vincent Price, The Nine Deaths of Dr. Valentine, was not only shortlisted for Best Novella in the BFAs but it also won the award. 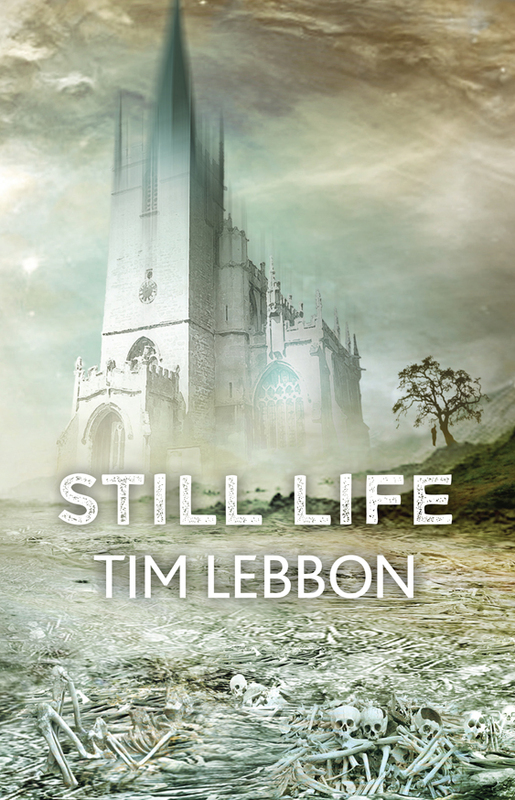 Additionally, at World Fantasy Con back in November, we launched two books by two very fine authors, Tim Lebbon (Still Life [novella]) and Paul Kane (Ghosts [collection]). This only goes to show that hard work pays dividends, and all this recognition of that work is most gratifyingly received and acknowledged. Something which we are enormously proud of, apart from the recognition, is that Spectral launched a new side-imprint, called Spectral Screen, in December 2013, devoted entirely to genre TV and film, and we welcomed a new editor to oversee it, Tony Earnshaw. It was launched with The Christmas Ghost Stories of Lawrence Gordon Clark, the director who introduced the annual seventies tradition of the BBC’s A Ghost Story for Christmas strand, broadcast in December every year between 1971 and 1978. The man is a true gentleman, who was rescued from undeserved obscurity by the editor of the book (Spectral Screen General Editor Tony Earnshaw), and brought into the limelight once again in front of many ardent fans of his work. The icing on the cake, however, is the fact that Gordon Clark fan Mark Gatiss, of Sherlock and League of Gentlemen fame (and who also directed this year’s A Ghost Story for Christmas production, The Tractate Middoth), agreed to write a short Foreword for the book. So, what’s coming from Spectral in 2014? More chapbooks by the likes of Angela Slatter, Robert Shearman, Lisa L. Hannett and Stephen Bacon (plus the rescheduled one by Simon Bestwick), novellas by Cate Gardner and John Llewellyn Probert (the latter a sequel to The Nine Deaths of Dr. Valentine), a novellette from Ray Cluley (Within the Wind, Beneath the Snow), the Christmas Ghost story anthology, a reprint of Johnny Mains’ award-winning compilation book of stories from the (in)famous Pan Book of Horror Stories, Back from the Dead in paperback, and possibly a surprise book or two. 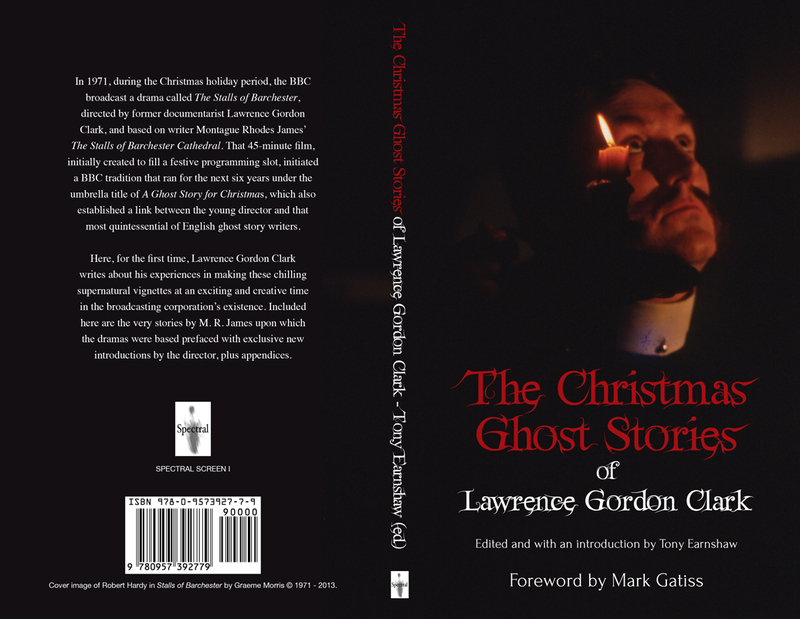 The Christmas Ghost Stories of Lawrence Gordon Clark will also be issued in hardback in January. We here at Spectral are particularly looking forward to the move from Spectral Towers to Château Spectrale in the grounds of the new Marshall-Jones Mansion.This will be a new start in a new place, and we will endeavour to produce even better books for your reading pleasure. As we enter our FOURTH year of operation, both Simon and Lizzie are justifiably proud of the achievements the imprint has garnered in such a short time, and so we are going to step things up a gear. A reputation for quality, once gained, must be maintained and pushed forward. THAT is our goal for 2014, and we sincerely hope that you will be around to share it with us! HAPPY NEW YEAR AND A PROSPEROUS 2014!!! See you next year – onwards and upwards! That all sounds amazing. Here looking to 2014!